Luxury residential estates living on the Golf Course in private Cul-de-sac. Interior of home to feature hand textured walls, 8' tall doors, and plank tile floor. Get more for your money with this brand new RV garage home. 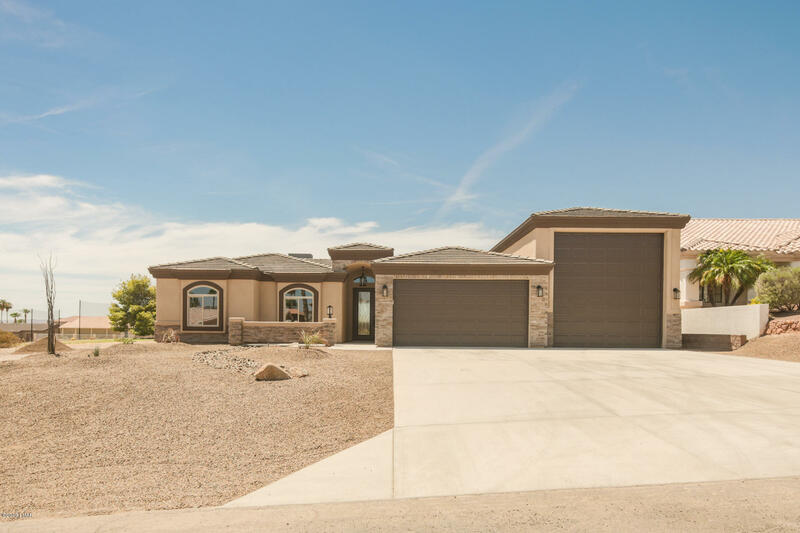 Comes with solid slab granite counters, fully tiled showers, tile roof, 62' Drive thru RV garage with 14' RV garage door 9x8 Rear Garage door, garage door openers, 50 Amp RV Plug & Dump, Garage Bath, Low E Tinted Windows, ceiling fans, & ENERGY STAR RATED! This home also includes oil rubbed bronzes fixtures & faucets, glass tile backsplash, epoxy coated garage floor, Stained custom cabinets, 3 Tone paint & stone front facade. Home also includes 1/2 Bath in garage and epoxy coated garage floors. This beautiful residential estate home has too many extras to list. This home is a must see! Directions: Up Jamaica past South Acoma. Left of Via Del Lago.